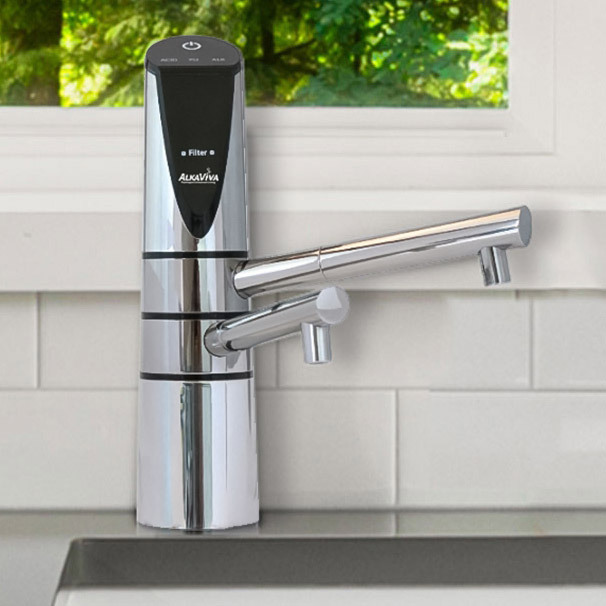 UltraWater is the only water ionizer filter that is USA-made and has certified independent test results for 172 contaminants, reducing virtually all of them up to 99.9%. The healthiest water starts with clean water. 8 pH Selectable Levels – Choose the level of pH that suits your needs. One Touch Convenience – One Touch Technology allows you to easily and precisely control your ionizer’s functions … with one touch. Comprehensive: We tested 21 heavy metals, 65 pharmaceuticals, 3 OTC drugs, 7 Hormones, 15 pesticides and herbicides, preservatives and wastewater indicators, 45 VOCs, and 5 other anions & disinfectants – a total of 172 contaminants! Most other systems can create at least a low level of H2. Anything that creates decent H2 also creates it in water that is dangerously high in pH – always well above 10 pH. Not only is it questionable in health terms, but water that high in pH tastes bad! The Delphi H2 is better than other systems in its mid-range price category at delivering H2 performance, especially at lower more drinkable – and safer – pH levels. The Delphi H2 will (depending on source water) create up to an 10.5+ pH and -800 ORP. What is misleading and false marketing is to say an ionizer will get a particular result since the result will vary depending on the mineral concentration in your water and the flow rate. What we will guarantee is that if any customer can show, in the first 90 days after purchase, that our ionizer does not outperform any other brand ionizer using similar number of plates and the same water source, then we will give a full refund.